Military service members who are injured while defending our freedom have a special spot in Social Security’s Disability program. For more than a decade, the Social Security Administration has been expediting Social Security Disability Benefits for Wounded Warriors. Service members who get injured during active duty (on or after October 1, 2001) are eligible for fast-track processing, which can shave months or, even years, off the time it can take to get approved and awarded Disability benefits. The Wounded Warrior program was implemented in 2007 to provide a financial lifeline to military men and women who sacrificed for our country and are now suffering from severe mental and physical conditions, including PTSD, COPD, traumatic brain injury, or an amputation. To be eligible for benefits, military service members must have a severe medical condition that is expected to keep them out of work for at least a year or result in death. If approved, you should receive a monthly Disability check that is based upon your earnings history in both your civilian and military life. It’s important to note that the Wounded Warrior initiative only speeds up the Disability process. It doesn’t guarantee approval. Disabled service members must still meet the Social Security Administration’s strict criteria to qualify for benefits. Social Security Disability benefits also shouldn’t be confused with Veterans Affairs (VA) benefits. The two government programs are different. 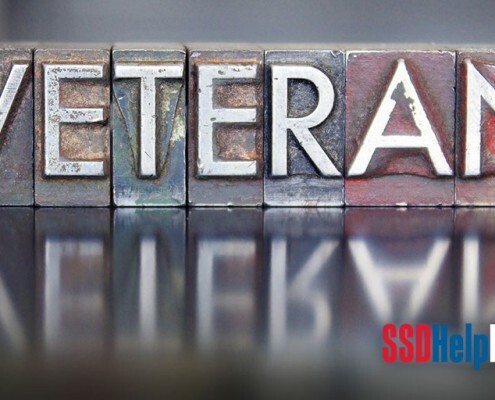 However, you may be eligible to collect Social Security Disability and VA Veterans Disability benefits at the same time. Remember: When you are applying for Social Security Disability benefits, make sure you indicate that you are a Wounded Warrior. The McDonald Law Firm feels privileged every time we help a military service member obtain Disability benefits. We will work diligently to make sure that Social Security lives up to their pledge and expedites processing for Wounded Warriors. If you were injured while on active duty and can no longer work, we can help you get the benefits you’ve earned and deserve. Call us today at 877-568-8413 or fill out the contact form on this page.